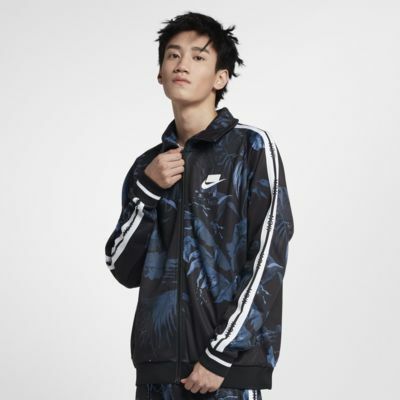 The Nike Sportswear NSW Track Jacket sports a palm tree print for a street-ready take on the classic football warm-up. Featuring NSW tape from neck to cuff and an extended, foldable collar, this jacket delivers iconic, sport-inspired style. 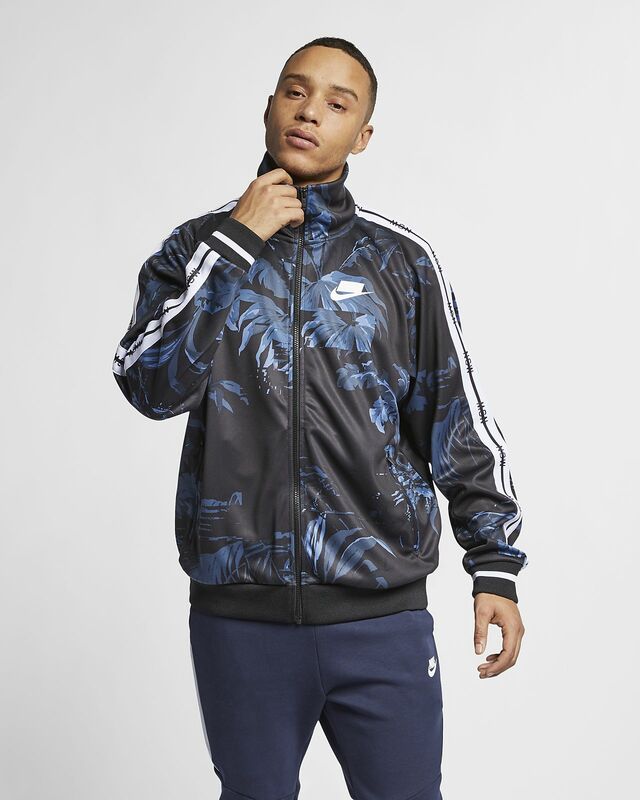 Football-inspired design features a unique palm tree print. Extended, foldable collar offers versatile style options. "NSW" repeats down the tape from neck to cuff. Knit fabric is smooth and comfortable.